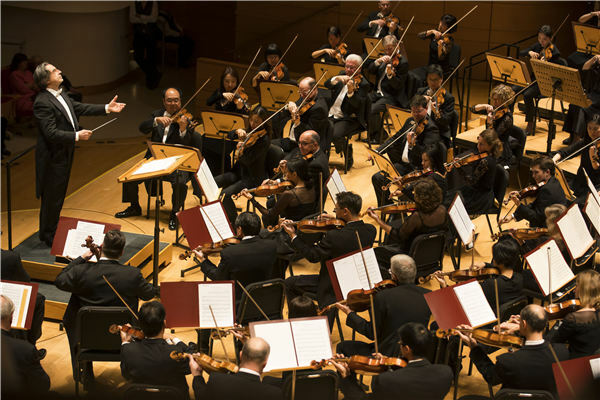 The Chicago Symphony Orchestra is touring Asia from Jan 19 to Feb 4, featuring a diverse set of works, including symphonies of Brahms and Tchaikovsky and Rimsky-Korsakov's orchestral showpiece Sheherazade, as well as Verdi's Requiem. According to Italian conductor, Riccardo Muti, who became the music director of the Chicago Symphony Orchestra in 2010, the orchestra's touring history in Asia dating back to 1977. "I was very impressed with the enthusiasm for classical music among the audiences in China. And it was clear to me that classical music and culture are important to today's audiences in China," says the conductor, who first performed with the Chicago Symphony Orchestra in China in 2016. Asked about the music programs, he says that they "bring all the amazing colors of the Orchestra and its instruments into one piece that is filled with great imagination". The Chicago Symphony Orchestra is touring Asia from Jan 19 to Feb 4, featuring a diverse set of works.